Volkswagen Group continues to tout its future EVs, but there's still not much proof of anything and its comparisons seem unreasonable. First of all, while we regularly reveal our skepticism with Volkswagen and it EV pursuits (and for good reason), we truly hope that the automaker is wildly successful, and sooner rather than later. Honestly, with VW's size and resources, it could arguably by the automaker best-equipped to transition the EV segment as we know it and generate massive adoption. This could be especially realistic if it can build a car that is comparable to the Tesla Model 3, but comes at half the price. 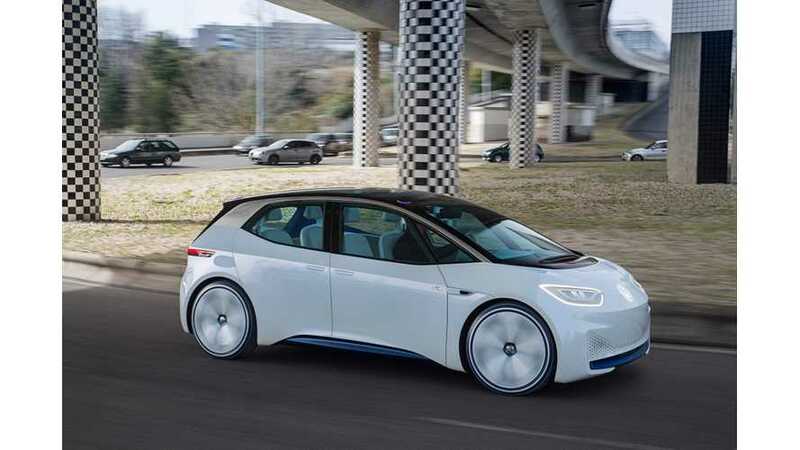 Volkswagen has invested a considerable amount of money in its electric vehicle plans and has been advertising these potential vehicles for years. The automaker's most recent announcements include its highly innovative electric car manufacturing facility and its goal of initial production by 2019 and electrifying its entire lineup by 2030. Here we come very strong now. We have invested 30 billion in electromobility, we have already rededicated a plant in Zwickau, and we are building an electric vehicle plant in Shanghai. We will come in 2020 with vehicles that can do anything like Tesla and are cheaper by half. No specific "Tesla killer" model was specified. However, the first VW I.D. vehicles are due out around the time frame mentioned. The cars have been touted for years as being able to beat Tesla on range, however, little is known about these vehicles' performance aspects or most other details. Additionally, pricing has not yet been revealed, but there has been talk of a price around ~$28,000. If VW can build mass-produce and mass-market a long-range, sub-$30,000 electric vehicle, this will be fantastic for the segment. If it can beat Tesla on range, it's assumed it will also beat the Chevrolet Bolt EV, the Nissan LEAF, and the Hyundai Kona Electric, which are all vehicles that the car would likely compete with as well. However, until we know that this inexpensive, long-range electric car can match or beat a vehicle like the Tesla Model 3 in the performance department, this is a pretty bold statement from Volkswagen. In addition, $28,000 is surely not half of $46,000. Nonetheless, we look forward to the future when VW brings these vehicles to market and outperforms Tesla.